My Little Pony rare_form_21 Rarity 12.5"
2016. Direct Exclusive. LE500. Dressed Doll. rare_form_21 loves everything that is beautiful and being the center of attention, just like his favorite pony, RARITY! Fashion designer and high-profile socialite involved in artistic charities, this social media "it boy" leads the pack! With his sleek style and colorful personality, rare_form_21 is a real trend-setter, the one the other fans of My Little Pony flock to when they are in need of style advice! 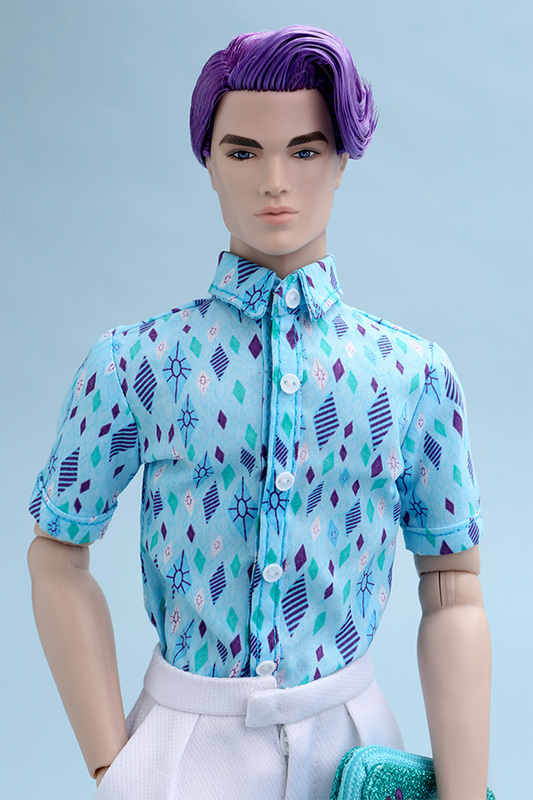 Fully articulated 12.5-inch (31.75 CM) plastic fashion doll with rooted hair. Doll cannot stand alone and some poses may require hand support, a doll stand is included. This collectible contains small parts and is not recommended for children below 36 months of age. For adult collectors 15 years old and up only. Note: The doll, fashions and accessories depicted in the following product photos are prototypes. Final productions colors and textures may vary slightly.